Sarwat Chadda's Blog: Insanely fabulous! Here's the final cover of Dark Goddess. I rather like it. A lot. The rewrites continue (draft five) but the end is in sight, so I thought I'd share a few details with you, some clues of which are in this photo. Firstly, notice St. Basil's Cathedral in the background. Russia will feature prominently. As you may know, I went to Russia last year to get a flavour of the country. Moscow is way cool and there's material there I could have used form a number of books, but I've distilled it down to the most potent elixir. Russia has a very different flavour to Western Europe and that'll be one of the main features of DG. That and the darkest of fairy tales. The cannibal witch Baba Yaga. Koshchey the Undying. Prince Ivan and Vasilisa are all players in Russian fairy tales and they'll be in DG, in one way shape or form. Baba Yaga is a witch like no other and her servants, the werewolves, are old school. Eaters of manflesh and hunters without peer. As with the vampires (or ghuls) in Devils Kiss, I'll have them doing what they do best, and that's giving you nightmares. The red coat is both my homage to Little Red Riding Hood and the works of Angela Carter. If you get the chance, see 'Company of Wolves', macabre, beautiful, and very bloody. I hope Dark Goddess will be the same. The cover is made up of the Templar colours: red, white and black. You've got Billi armed and dangerous and the story takes place three months after events of DK and she's become her father's daughter. If you thought Arthur was a ruthless SOB in the first book, you'll see how it all escalates with Billi, now she feels she's got nothing to lose. There are a few new faces in the Knights Templar. We've Lance, a French hitman who's joined the cause and then there's the new squire, Mordred. The Arthurian legends have been the foundation to my version of the Templars and these two guys will have a sutble but important effect on the path Billi takes. In a way I've had more fun writing Dark Goddess than I did Devil's Kiss, or at least fun in a different way. I've been very very fortunate with my two editors, Ari and Lins, who've guided me in making DG a pretty special book and experience. I think I've started taking myself seriously as a writer with this book as it's been my first project as a full-time author. It's a while yet (six months) until it appears on the shelves, but the writing's fresh and hot in my head. After this I'm working on a short story, The New Boy, which is when Billi first met Kay. Given the importance of their relationship I always planned to go back to how it all started. I hope that'll be out (with the other short stories) a little before the release of DG. Yay! I assume that's the US cover? The UK covers will be changing too so this is the UK cover now. 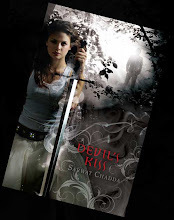 Devil's Kiss (UK) will eventually evolve into the US cover. All covers will be the US cover, even the UK covers. I am so excited! Will Dark Goddess be released at the same time in the US? I loved Devils Kiss. I can't wait for more details. That's a pity! I like the UK cover a lot. It's rather anti-norm and unique. Looks fabulous - aw, Billi's all grown up! UK edition comes out July (in paperback). The US edition (hardback) is out in October. There's a bit of tweaking left to do. Nothing too serious, I hope. I think this cover's pretty unique! But I did love the big bloody pentagle on it, true. 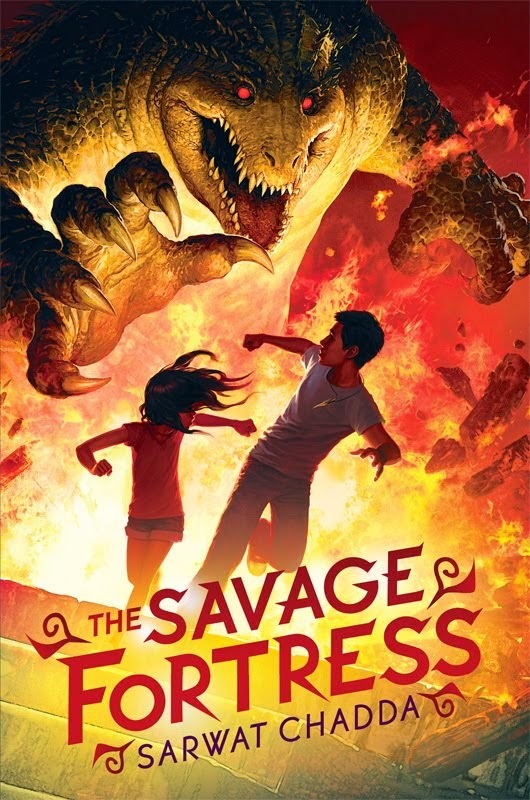 Naturally you know my reaction when I saw that cover in your email because omg, I love it to bits. I love the cluse you've given us and can't wait to read DG. Best of luck with rewrites. Also, kudos for you seeing yourself changed as a writer. That is always interesting to read as a reader and fan.